Alex Silvagni's comeback for Carlton is over before it got started, with the veteran picking up another Achilles injury. Former Fremantle backman Silvagni will need surgery after rupturing the tendon when making his return to action through the VFL at the weekend. The Blues had hoped this would be a season when he would make his experience count on the field, and named him in their leadership group before the start of the campaign after he signed a new deal. But he's yet to play at senior level in 2018 due to hamstring and Achilles problems, and his latest injury will sideline him until next year. The club have confirmed the 30-year-old, who was signed in the 2017 Rookie Draft, suffered a season-ending Achilles tear in the second quarter of the Blues' VFL clash. Silvagni, who had played 53 games for Fremantle before switching to Carlton, played seven games for the Blues last season before injury ended his campaign early. He's the third member of Carlton's eight-man leadership group to have experienced significant injury issues throughout the year. 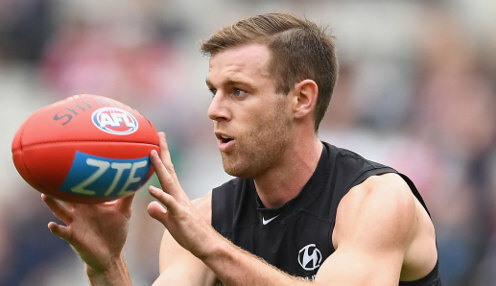 Vice-captain Sam Docherty hurt his knee in pre-season and has been ruled out for the entire campaign, while skipper Marc Murphy has missed seven of the past eight weeks with a foot injury. Murphy, a two-time winner of the Blues' best and fairest award, is hoping to return to action over the next fortnight. The 30-year-old is a restricted free agent and could leave at the end of the season.His return is his priority, but he will meet with his manager this week to discuss his contract situation. Murphy's unhappy with the way the Blues' season is panning out, with just one win in their first 12 games.He won't let their poor form influence his decision over whether to stay, though. "I'm here to lead this footy club. It's a really important week for us to make sure we show the right response and, more importantly for our fans, to make sure they feel we're playing for them," said Murphy. Carlton are 19/2 to win their next game against Collingwood, who are 3/50. The Blues are 93/100 with a 47.5-points start.